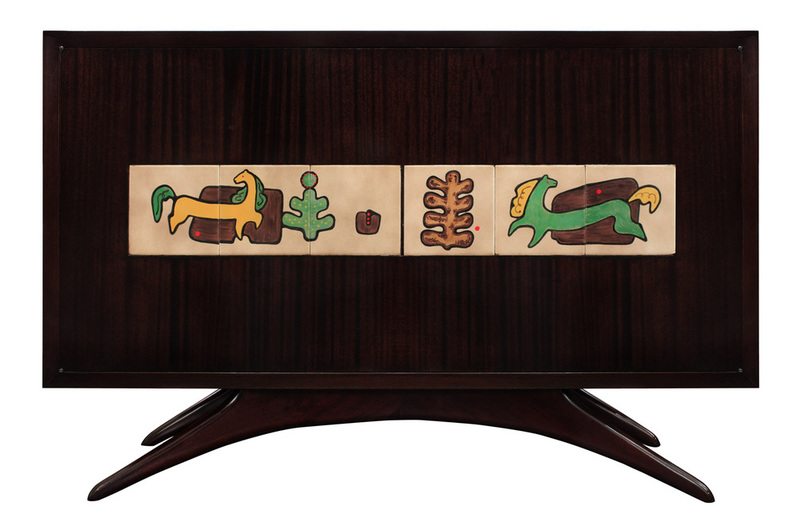 Rare and early cabinet in mahogany with iconic splayed legs and hand made ceramic tiles by Alexandra Kasuba on doors by Vladimir Kagan, American, 1950. The interior is clad in white Formica and there is a light on the right hand side. This piece comes with an Letter of Authentication by Vladimir Kagan done in 2014.